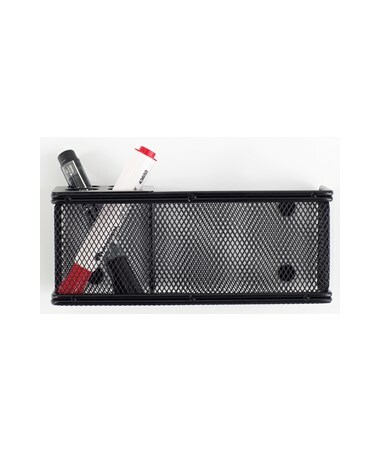 The Onyx Mesh Marker Organizer will give an easy access in holding erasers, markers, or any other related item just in one place. It features Rare Earth Magnets that is strong enough to work on any magnetic surface such as a magnetic whiteboard, magnetic glass marker board, and the like. 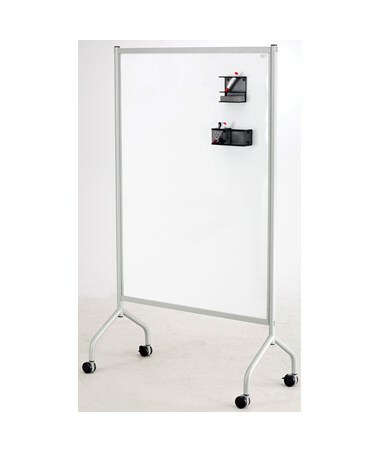 It can be mounted to any wall with the use of a steel plate that includes four stand-up market holders that fit most standard whiteboard dry erase markers. 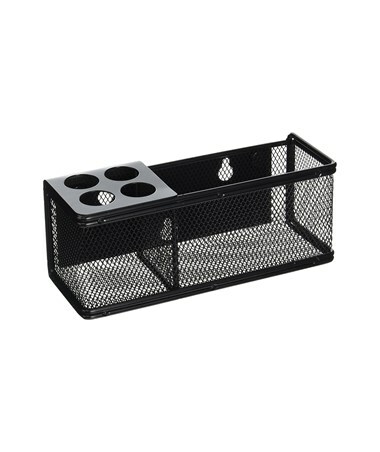 The included basket secures the contents and prevents it from falling. 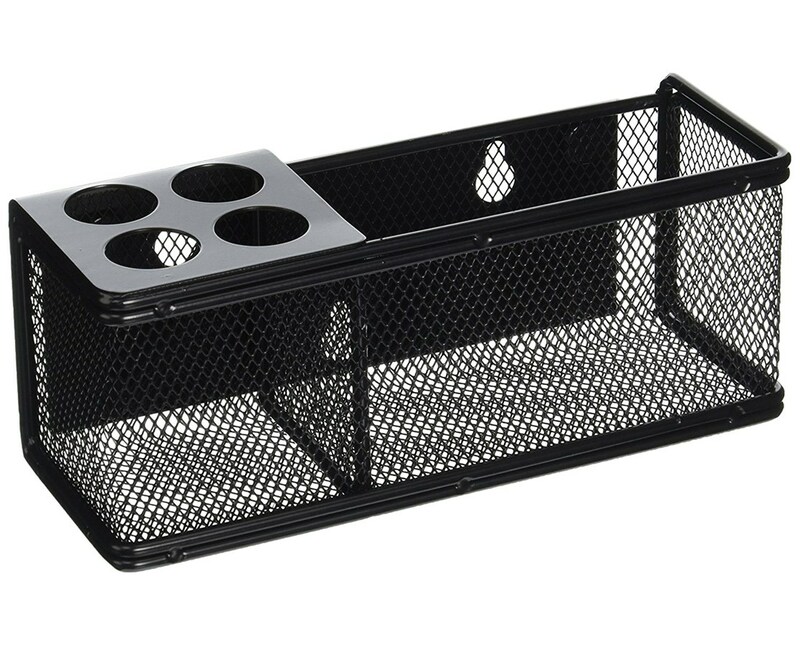 Designed for heavy-duty use, this organizer is made of steel mesh wire with a rolled smooth edge, polished appearance, and a black powder coat finish.